Life is good as a freelancer or small business owner. No one to answer to, but our own clients, of course. No one breathing down our necks to make sure we’ve done THEIR job correctly. We get to “do it all” ourselves. In the process of putting the pieces together of my own business as a voice actor, I’ve managed to figure out how to do a lot of things on my own. On top of it all, I work at documenting everything because I happen to be a list maker. 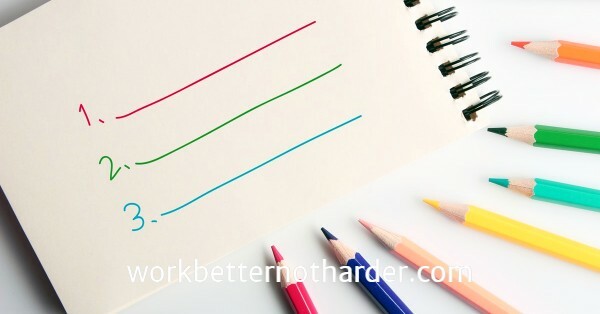 And as I dig deeper and deeper to give back to the world, I’ve discovered not everyone IS a list maker, and most people can use help in that area. Ø Check a client’s website for their social media icons – follow all, or follow new ones they’ve recently added. Ø Check client’s social media feeds and share one of their relevant or remarkable posts. Ø Check out, comment on, or share any blog posts the client may have published. Ø Google the client’s business name, and personal name, to research and congratulate them on any recent successes. Ø Sign up for the client’s newsletter, if you haven’t already. 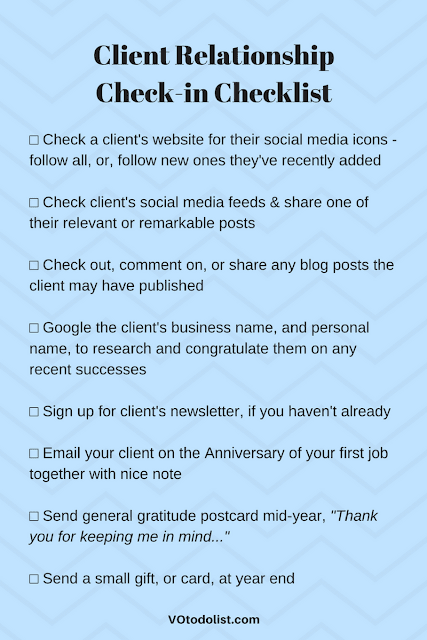 Ø Email your client on the anniversary of your first job together with a nice note. Ø Send a small gift, or card, at year end. Save this checklist! Enlarge the image below or right-click to save. You can sign up for Natasha's Master VO TO DO List here.